Few investments in employee well-being have such immediate and impressive returns as smoking cessation programs. These programs not only enable your employees to quit a harmful habit and holistically improve their lifestyles but also allow your business to drastically reduce the amount spent on healthcare costs. If you’re looking for local smoking cessation programs with proven, consistent results, look no further than Wellworks For You. No other organization is more committed to promoting healthy lifestyles in the workplace and beyond, nor is any organization more enabled to produce real, lasting results. The local smoking cessation programs available through Wellworks are some of our most popular programs–with some of the most celebrated and dramatic outcomes. In fact, 70% of the approximately 40 million Americans who smoke regularly acknowledge that they wish to quit. Unfortunately, only 5% successfully achieve that goal each year. That means that 65% of smokers have the desire to quit, but are lacking in the means, resources, or motivation to make their desire a reality. That’s where local smoking cessation programs enter the scene. 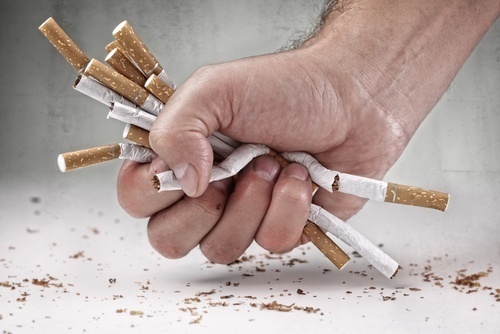 Smoking cessation programs for employees, such as those offered by Wellworks For You, provide the structure, resources, and information needed to turn the will to quit into real, lasting action. Naturally, any good employer cares about the health and wellbeing of his or her employees–but you might be interested to know that the benefits of smoking cessation programs in the workplace extend far beyond improved employee lifestyles. It is estimated that smoking-related illnesses have cost employers an estimated $193 billion in healthcare expenses and loss of productivity. When employees quit smoking, there are immediate and long-term improvements in health that directly result in an immediate and long-term reduction in healthcare costs for your company. Additionally, employees who have quit smoking tend to have more energy and better attitudes in the workplace, resulting in higher productivity and a healthier work environment overall. Local smoking cessation programs from Wellworks For You set your employees up for success by providing a solid, structured series that your employees can participate in. Consisting of a six week class series (including both webinar and onsite programs), Wellworks offers information and interactive resources, along with follow-up health coaching to prevent relapse. If you are interested in what local smoking cessation programs can offer your employees and your business, or have questions about our smoking cessation programs’ effectiveness, please contact Wellworks For You at 1-800-425-4657. We also encourage you to read an interview with our client, Robert, who found great success with the Wellworks For You smoking cessation program. You can find his story here.